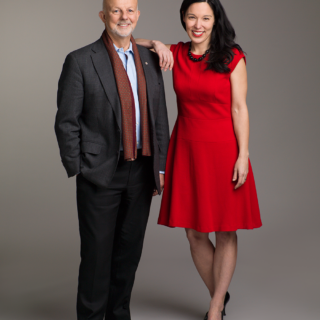 Christopher Gaze is best known as the Founding Artistic Director of Bard on the Beach Shakespeare Festival, which celebrates its Thirtieth Season in 2019. He hosts the Vancouver Symphony Orchestra’s ever popular Tea & Trumpets series and has hosted their annual traditional Christmas concerts for the past 26 years. Christopher plays a leading role in British Columbia as an advocate for the arts in general, and his passionate dedication to Bard on the Beach has fuelled its growth into one of the largest professional theatre companies in Canada, drawing more than 1.9 million patrons since he founded it in 1990. 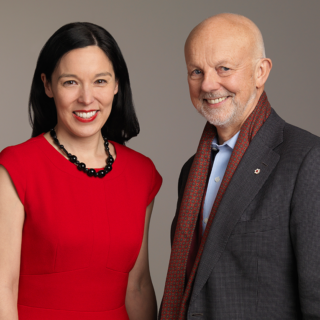 His many honours include Canada’s Meritorious Service Medal, Honorary Doctorates from UBC & SFU, the Mayor’s Arts Award for Theatre and the Order of British Columbia. Christopher Gaze was born on May 12, 1952 and educated at Hurstpierpoint College boarding school in Sussex, England from 1960-70. Whilst there he decided that he wanted to be an actor. During the summer holidays, Christopher gained experience with Britain’s National Youth Theatre and from 1970-1973 he went to the Bristol Old Vic Theatre School, a great training ground for many actors, including Olivia Colman and Sir Patrick Stewart, plus his contemporary and friend Pete Postlethwaite. From there he worked in repertory theatre until he was inspired to come to Canada in 1975 by his mentor, legendary Shakespearean actor Douglas Campbell. He spent three seasons at the Shaw Festival in Niagara-on-the-Lake and acted at various theatre companies across Canada and the USA, moving to Vancouver in 1983. After a couple of experiences with other tented Shakespeare festivals, Christopher recognized the potential in blending excellent Shakespeare productions with Vancouver’s spectacular location as a backdrop. In 1990, he founded Bard on the Beach Shakespeare Festival, where Bard’s signature open-ended tent allowed actors to perform against the view of the city, the sea and the mountains. The first summer of Bard on the Beach was a huge success. Beginning as an Equity Co-op production, it staged one play in a rented tent in Vanier Park on a budget of $35,000. Today the Festival, now in its 30th season, has a budget of close to $8 million and has seen its attendance rocket from 6,000 in that first summer to 108,000 in 2018. The growth has been steady and organic, and the Festival has been able to sustain its mandate “to provide quality Shakespeare productions that are accessible and affordable”. Not only has patronage flourished within the local community but Bard has contributed significantly to the city as a major tourist attraction, with approximately one-tenth of its patrons coming from outside BC’s Lower Mainland. Christopher nurtured Bard’s Young Shakespeareans Program, which provides an opportunity every summer for nearly 300 young people to train with company artist/instructors on the Bard stages. The Festival has also developed a Student Matinee series that annually brings as many as 7,000 students to performances, introducing them to the magic of Shakespeare’s stories and language. During the past several years, Bard has expanded its education programs with Bard in the Classroom, Bard in your Neighbourhood and Riotous Youth programs for young people, students and teachers. This commitment to youth outreach and education is making an important contribution to the development of a knowledgeable and enthusiastic “audience of the future” for the performing arts in general. Christopher is an accomplished actor and director. Over his extensive career in the theatre he has performed at major centres across Canada, England and the USA. In 2004 he was honoured with the Jessie Richardson Award for Best Supporting Actor for his role in the Playhouse production of Equus, and a Career Achievement award in 2014. In addition to his role as Artistic Director, Christopher has frequently performed and directed at Bard on the Beach. His directing credits include A Midsummer Night’s Dream (1990 and 2003), As You Like It (1991) The Winter’s Tale (1997), Henry V (2002) and Shakespeare’s Rebel (2015). Favourite roles among the innumerable characters he has played at Bard are Bottom in A Midsummer Night’s Dream, Malvolio in Twelfth Night, the title roles in Richard III and King Lear and Falstaff in The Merry Wives of Windsor. A gifted public speaker, Christopher frequently shares his insights into the theatre and Shakespeare in the community at large, with school groups, service organizations and local businesses. He works with many other arts organizations, notably as host of the Vancouver Symphony Orchestra’s Traditional Christmas Concerts series since 1993 and its legendary Tea & Trumpets series since 2002. Christopher also works extensively as a character actor in film and radio, and he narrated the Emmy Award-winning animation series Madeline. He serves as a Board Member for many different organizations and plays a leadership role as a cultural ambassador in BC. As an Olympic ambassador, Christopher was honoured to run with the Olympic flame for the 2010 Games in Vancouver. Christopher’s many honours include induction into the BC Entertainment Hall of Fame, Canada’s Meritorious Service Medal (MSM), Honorary Doctorates from the University of British Columbia and Simon Fraser University, the BC Community Achievement Award (2007), the Gold Medallion from the Children’s Theatre Foundation of America (2007), the (Vancouver) Mayor’s Arts Award for Theatre (2011) and the Order of British Columbia (2012). Claire was named Executive Director of Bard on the Beach in 2013. Prior to Bard, Claire was the Producer of Toronto’s Soulpepper Theatre Company, Business Manager for Toronto Dance Theatre, Company Manager for the Western Playhouse, Founding Producer of Theatrefront and worked in corporate development for the Canadian Opera Company. Claire is a graduate of the Non-Profit Executive Program at Georgetown University, the Income Manager’s Program through the University of Waterloo and Queen’s University (BAH Psychology). Claire received the national John Hobday Award in Arts Management, sits on the Board of Directors for the Vancouver International Wine Festival and is a member of the Labour Relations Committee for the Professional Association of Canadian Theatres and the External Advisory Committee for Cultural Services at the City of Vancouver. Claire Sakaki was named Bard on the Beach’s Executive Director in 2013. She leads the financial, administrative and daily operations of B.C.’s second largest theatre company. 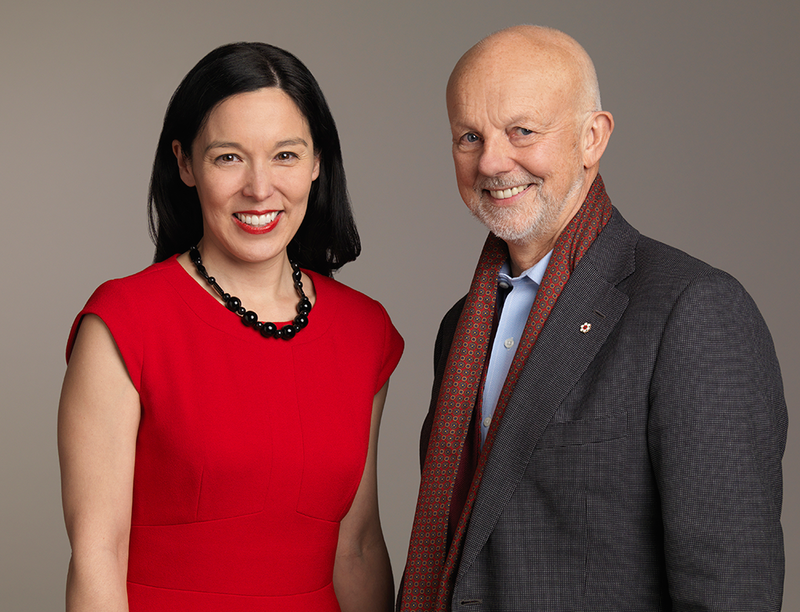 Prior to Bard, Claire was the Producer of Toronto’s Soulpepper Theatre, helping it grow from a small summer company, to an award-winning multi-million dollar organization. Claire was responsible for administering all artistic programming, including season productions; music, dance and multi-disciplinary festivals; the Soulpepper Academy, and all outreach programming. Previously, Claire held the positions of Business Manager for Toronto Dance Theatre, Company Manager for the Weston Playhouse (Vermont), and worked in corporate development for the Canadian Opera Company. Claire was the Founding Producer of Theatrefront, an ensemble-based theatre company dedicated to creating new works, often through international collaborations. Claire was the 2013 recipient of the national John Hobday Award in Arts Management and has received a Harold Award for her contributions to the Toronto theatre community. Claire has participated on juries for the Canada Council for the Arts, Ontario Arts Council, Vancouver Cultural Services and Dora Mavor Moore Awards. Claire completed the Non-Profit Management Executive Program at Georgetown University and the Osgood Certificate in Entertainment Law at York University, holds a Bachelor of Arts (Honours) Degree in Psychology from Queen’s University and completed the Income Manager’s Program through the University of Waterloo. 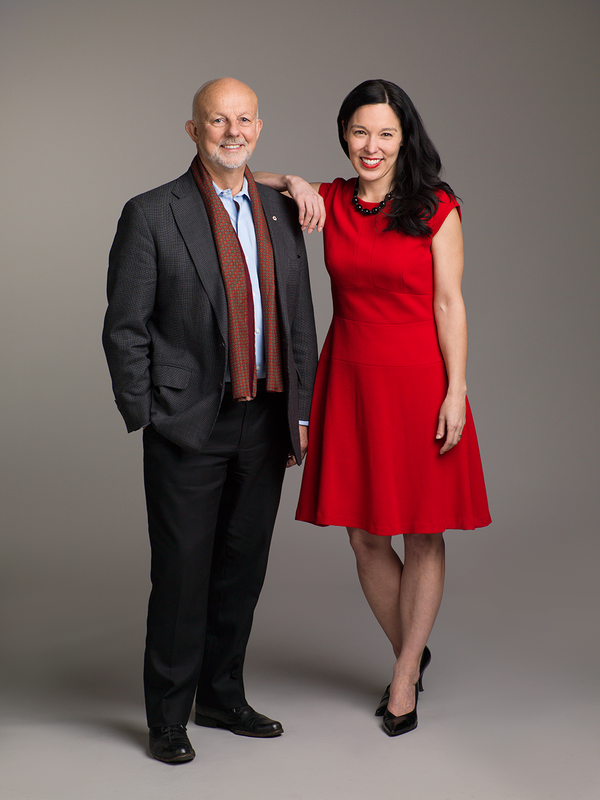 Claire is a member of the Board of Directors for the Vancouver International Wine Festival and the Labour Relations Committee for the Professional Association of Canadian Theatres. Claire was born and raised in Kamloops, BC.